I’m Jeevahan, but most people call me Jeeves. I am the new Programme and Events Associate at Bethnal Green Ventures. Like most students I didn’t have a clue of what I wanted to do after university had finished. At first, I considered a career in commercial law. I was influenced by my friends and peers, the pressure from my parents to get that ‘safe job’ – and I watched way too many episodes of Suits! In truth, I wasn’t aware of all the different types of job opportunities out there. Luckily, I accidently came across a startup called Tilt during my second year of university. That changed everything. I was lured in by one of their Facebook adverts while putting off reading John Rawl’s seminal, but far too long, Theory of Justice for my degree. Tilt (acquisitioned by Airbnb) was a social payments app that helped people collect money from a group. I became a Brand Ambassador helping them grow by focusing on user acquisition and partnerships at my university. Tilt opened the gates for me to discover the world of startups. It also reignited my love for technology. From there I went on to work for several startups while at Uni, such as: Loot, Headstart App, Finimize and Streetbees. 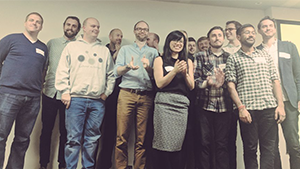 I particularly enjoyed playing a role in helping these startups grow, and it’s given me some foundational experience to go on and join, found, and create something of my own. One of my ambitions is to help others. I have personal reasons for caring deeply about helping young vulnerable people and increasing awareness around mental health. Realising that I could combine my love of technology with helping others, I started to research social entrepreneurship and impact investment. I wanted to find an opportunity to help me grow and develop the skills and experience to become a social entrepreneur and then an impact investor one day. After scrolling down many google search pages (I need to help BGV with their SEO! ), I finally found the right fit – Bethnal Green Ventures. I am looking forward to learning as much as I can about Tech for Good, social entrepreneurship and impact investment. 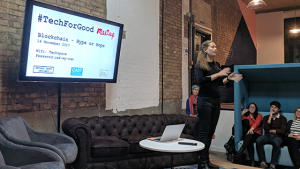 I will be helping out a lot with our accelerator programme, working alongside the social ventures here, as well as helping out the BGV team with many of our events. This is an opportunity to affirm something that I have believed for quite sometime now: the centre of gravity is shifting towards socially conscious ventures. The next wave of entrepreneurship will bring about a new generation of founders who are seeking to leave a long lasting social impact. I think BGV is at the crest of that new wave. Helping and supporting the next generation of entrepreneurs to amplify the positive impact they have on the world. I am looking forward to meeting and working with you all!